Every once in a while us Northern California boy's get to leave our 48 to 68 degree water and play in the beautiful waters of the Hawaiin Islands for a few days . . . and play I did!! I took one gun with me . . . Wong 55 Hybrid with 3 9/16th bands. I hooked up with Rob White from Blue Water Hunter and boy did he and Darin deliver a phenomenal day. 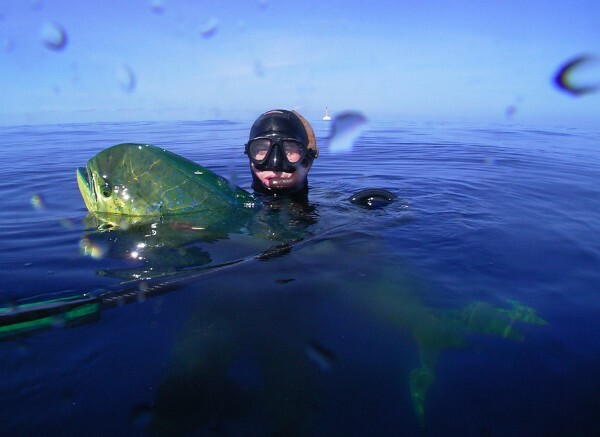 They dropped me into an incredible school of Mahi Mahi and later into a school of Ono that really got my heart racing. And to top it off, they ordered "swimming pool" like ocean conditions. Both guys took the time to educate me about techniques and the philosophy of hunting in the blue. I can't thank them enough for a safe and successful trip. 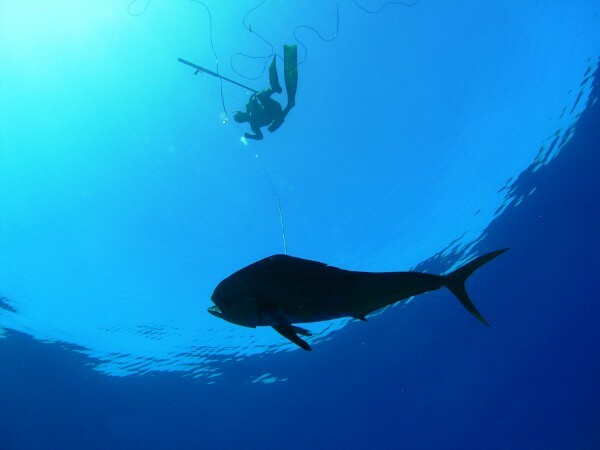 At day end, I had on the boat with me a 32 1/2 pound bull Mahi Mahi and two 10 pound Ono. I pulled the trigger 4 times and only had one miss because the phenomena is true . . . everything does look a whole lot closer in the blue. 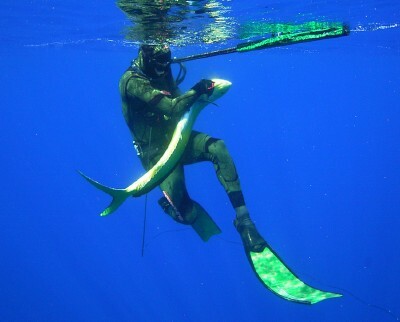 You gun is the best thing that has ever happened to my spearfishing and has given me the confidence to expand my hunting from the reef into the blue. Looking forward to ordering my "pistol" in a few months. Had another great hunt with my 55 hybrid this weekend. I changed my rigging up by adding the real and stalked the kelp beds of Southern California for Whites. 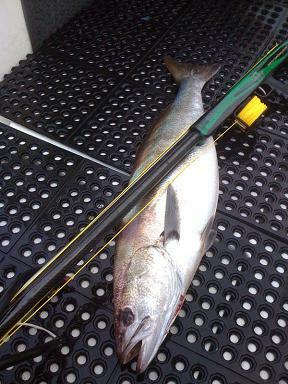 This fish met its fate quickly, with a perfect stone shot, a few inches behind the eye. Just another great moment with your gun by my side.